Piggy Handsome is a very confident guinea pig with a hugely inflated ego – he hails from a long line of very famous guinea pigs. But sadly Handsome STILL hasn’t achieved world renown. Well, now he has a new plan to get his name on the telly – he’ll be someone’s hero! Faber Children’s have created a brilliant activity pack which can be used in libraries, schools or at home. The packs includes: Colouring Sheets, Disguise-drawing and a wordsearch. The publisher would love to see how you use the pack. 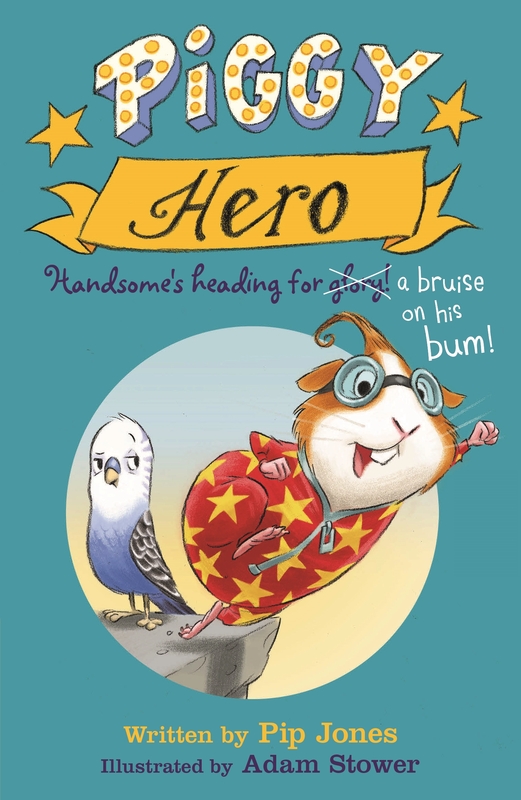 You can do this on social media using #PiggyHero and tag FaberChildrens, readingagency and the author @PipsJones. We will like and share as much as possible. There is also a brilliant competition. All the children have to do is send in a photo or drawing of your pet, and describe what they would be famous for! Use your imagination as much as possible. The winner of the most creative drawing or description will win a signed & dedicated copy of Piggy Handsome and Piggy Hero by Pip Jones. You can find out more on the Summer Reading Challenge competition page.